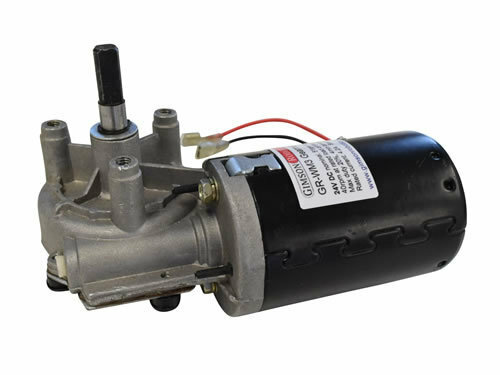 The GR-WM3 is a 24V DC motor and gearbox combination featuring a single stage 'worm-and-wheel' gear reduction. The transmission is built to be robust with all-metal gears and is able to prevent back-driving once the output is in a position even when power is removed. The output shaft is 9mm in diameter with dual flats on either side for transmission of torque. The no-load speed at 24V DC at the output shaft is 51rpm, reducing to 40rpm at the maximum rated load of 61kg-cm (6Nm, 850oz-in). Maximum output duty is 20%, up to 4 minutes in a continuous stretch. Peak torque (<1s) may exceed 200kg-cm. The motor may be operated at anywhere between 3-24V, with a maximum sustained output power of 25W at 24V (higher power may be extracted for short periods). Please see further operating details under the 'technical details' below. 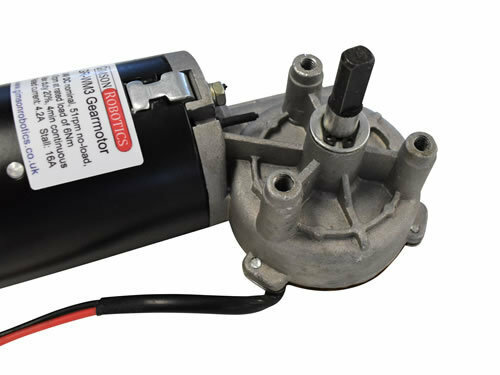 The motor is a low-noise and compact way of obtaining a high torque output for intermittent load applications. The 20% duty rating means that for each minute of use (for example) it should have four minutes of rest before operating again. Potential applications include electric winches, turntables, positioning systems, and rack-and-pinion drives. The gearbox body has three M6 threaded holes for mounting to, in a triangular pattern around the output shaft. When mounting loads to the shaft bear in mind that larger-sized loads mounted along the shaft should be supported externally too, to avoid putting too much stress on the gearbox and shaft themselves. For example a wheel mounted towards the end of the shaft ought to be supported by a bearing on the opposite side too. By default the motor is supplied with two female 6.3mm spade connectors on the end of ~180mm input leads. 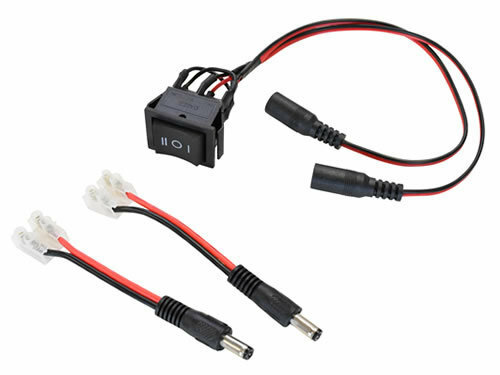 Options are provided to change these for either a ~280mm long male DC (2.1x5.5mm) connector lead, or to 500mm or 1000mm long 1mm2 silicone rubber insulated cables, with bare tinned lead-ends. If you require any custom cable and connector combinations then please get in touch. 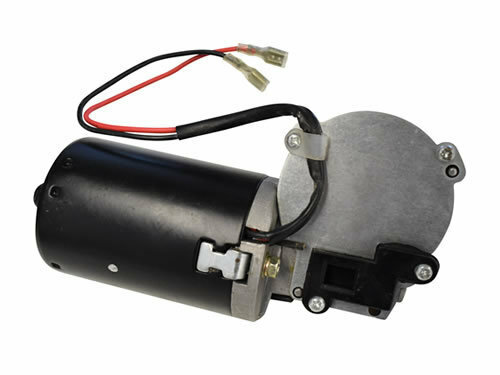 The motor operates like any other brushed DC motor and so may be used at voltages other than the nominal 24V with changed operating characteristics (please be aware that the warranty does not cover operation above 24V, or above 20% duty, which is likely to shorten the lifespan). Reducing the voltage reaching the motor will decrease the output speed and current for a given load, while increasing the voltage will increase the speed and the current. To change the direction of rotation swap the polarity of the power to the motor contacts (invert positive and negative). The motor is neutrally timed and so will travel at approximately the same speed in both directions. It is recommended to 'break-in' a new motor and gearbox before use, this is done by running for 3-4 minutes continuously in both directions (polarity one way then the other) under no load. This ensures that the gears are running freely and the motor brushes are well seated before being subjected to load. 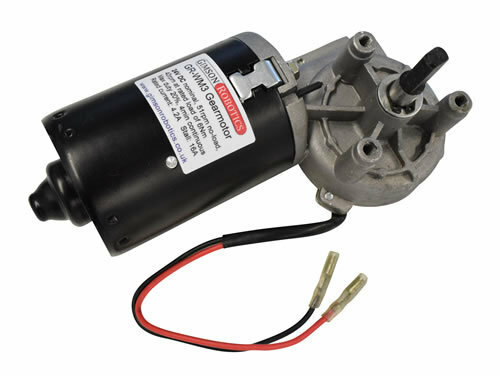 *Warning: Avoid reaching stall by adding circuit or load protection, the motor will quickly overheat and be damaged if it is held in a stall condition. Please be aware that some of the values above are extrapolated from other measurements and there will be a small degree of variance from motor to motor, allow for a safety factor of 10% above/below the given values when designing for your application. Be sure that any equipment that you use with the motor (power source and controller) is capable of handling the currents that the motor may demand. 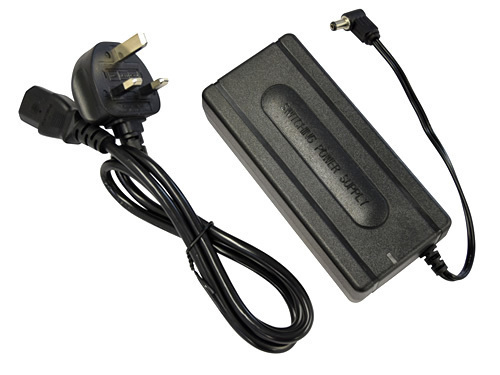 Secure remote control system for operating DC motors and actuators between 12-36V and up to 20A. Many control features included.